Oleg Troyansky is a well-known Qlik® veteran and a recognized expert. As an early moderator and one of the all-time Top Contributors on the Qlik® Community Forum, Oleg has helped thousands of Qlik® developers around the world. Most of Qlik® professionals are familiar with Oleg’s shared Qlik® apps, white papers and his active participation in the Developers Forum. Qlik® veterans remember Oleg’s contribution to popularizing and propagating Qlik® development concepts such as Link Tables, using calculated Flags, and the various ways of using Set Analysis. 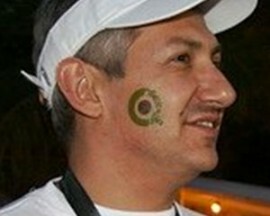 Oleg started with QlikView® in 2002 as one of early adopters in the US. Since 2007, Oleg leads Natural Synergies, the first BI Firm in North America that was created with a 100% focus on Qlik®. Today Oleg is spending most of his time training teams of Qlik® developers, as well as providing expert services, such as performance tuning and optimization, solution architecture and best practices. And he is busy blogging at Q-Tips. In 2015, Oleg wrote his monumental book “QlikView Your Business”, published by Wiley.